How are you? I’m great. I got up and listened to Morning Coach. I have been listening to the daily podcasts at Morning Coach for about 6 months now. I must say, it has really helped me grow myself as a person and stay on track. It’s $20/month- an awesome investment. 3. Be aware of what obstacles you may encounter. How will you handle it? 5. WHY are you wanting to achieve this goal? You have to have a big enough reason why you want this. 6. Visualize yourself achieving this goal. How do you feel? Another thing I think that helps with reaching your goals is sharing them with a close friend, a loved one, or with the world like me on this blog, lol. That way you are held accountable and have the support from others. Look at Marianne for example. She has been sharing her journey on reaching her goals with us and it is so AWESOME! If you are just tuning it, Check here, then here. She is once and for all getting to her goal weight and I couldn’t be more proud. I talked to Marianne yesterday and she is doubling up her workouts a few times a week. We will have another update with her on Nov.29! I have set a new goal. Do yoga for 30 days in a row at Semperviva Yoga. On Oct. 30 they started a 40 day yoga challenge. I am joining in a few days late, but this will be a huge challenge for me regardless. - I want to prove to myself that I can complete a goal I set. - Get involved in the community. Over 200 people signed up for the challenge! If you want to get involved! Come join me! There are 145 classes a week to pick from. Check out Semperviva. I remember the first yoga class I ever went to was in LA. I was so nervous- I had a freaking supermodel next to me. 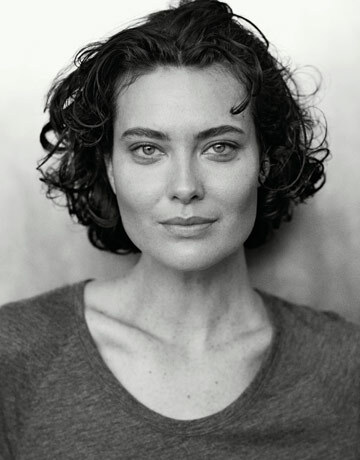 Shalom Harlow was right beside me!!! She was definitely an experienced yogi and insanely flexible. To be completely honest, I usually don’t like the month of November. Lame hey? To not like a month? Lame…and weird? But I am turning that around and making November the best month EVER. It’s all perception baby! Ok…..SO…..are you in? What are your goals? Filed under - HEALTH/FITNESS, INSPIRED 1 Comment so far. Baby it’s cold outside…. So I’m going to make cookies!